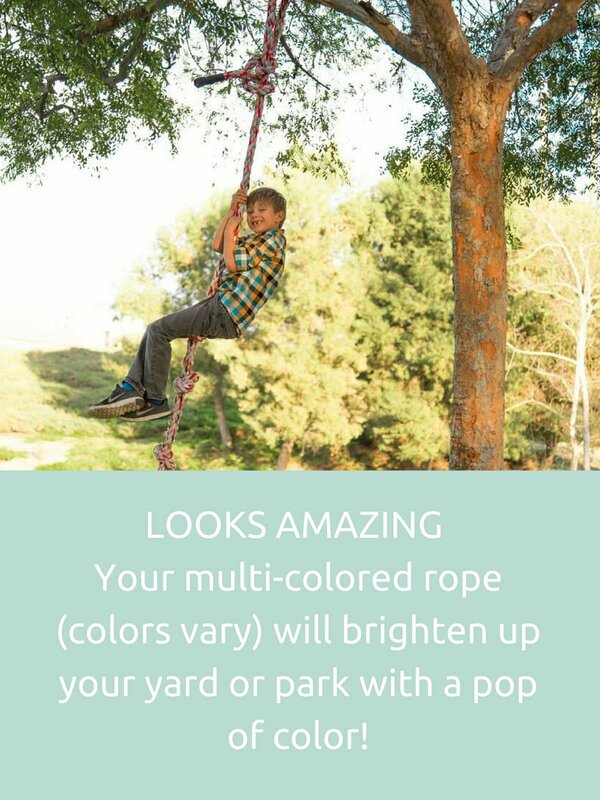 Simply tie off the end around a tree or your existing play structure and let hang. 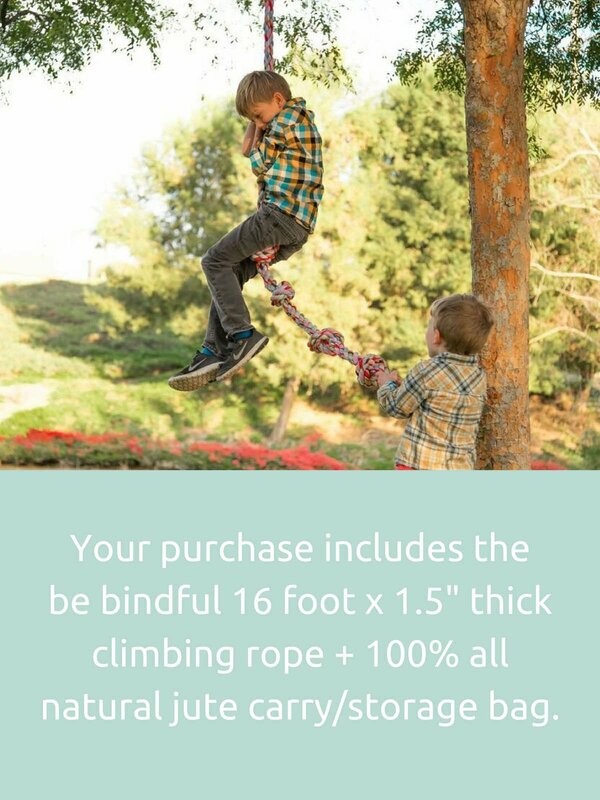 Give your kids stepping goals by tying individual knots up the rope. 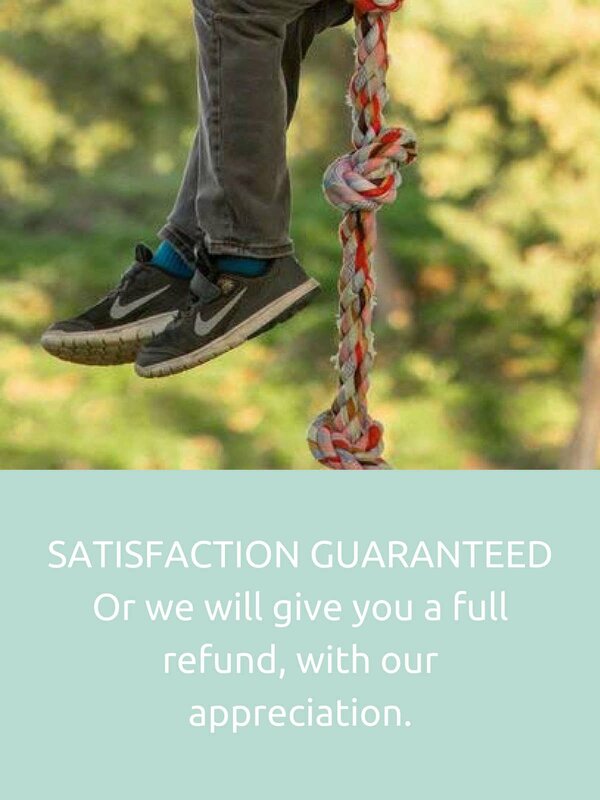 Watch your children BEAM with pride as they learn the "ropes." Great core exercises, hand exercises, and mental stamina.